Primary nucleotide sequence of specific long oligonucleotides present in the H25K Human Genome Microarray. 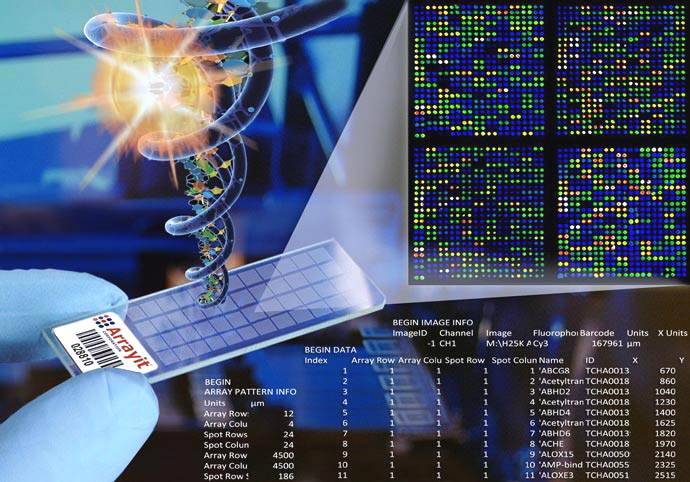 Customers can obtain raw sequence information for one or more of the 26,304 oligonucleotides that comprise the H25K product. Arrayit revolutionary one spot-one gene™ design utilizes the most advanced bioinformatics and the complete human genome sequence to obtain fully optimized H25K oligonucleotides that are highly gene specific. This convenient program allows users to obtain some or all of the H25K design simply by purchasing the oligonucleotide sequence information. Ideal for users studying specific human gene subsets. Customers should specify the unique 5-digit TCHA numerical identifier for each sequence (e.g. 07265) at the time of ordering. TCHA identifiers for each oligonucleotide sequence can be found in the H25K Human Genome Annotation file available on-line.